You know what I just love? When everyone in the fashion world wears a thing, and that thing doesn’t only exist for hundreds of dollars (and above). I mean, don’t get me wrong. 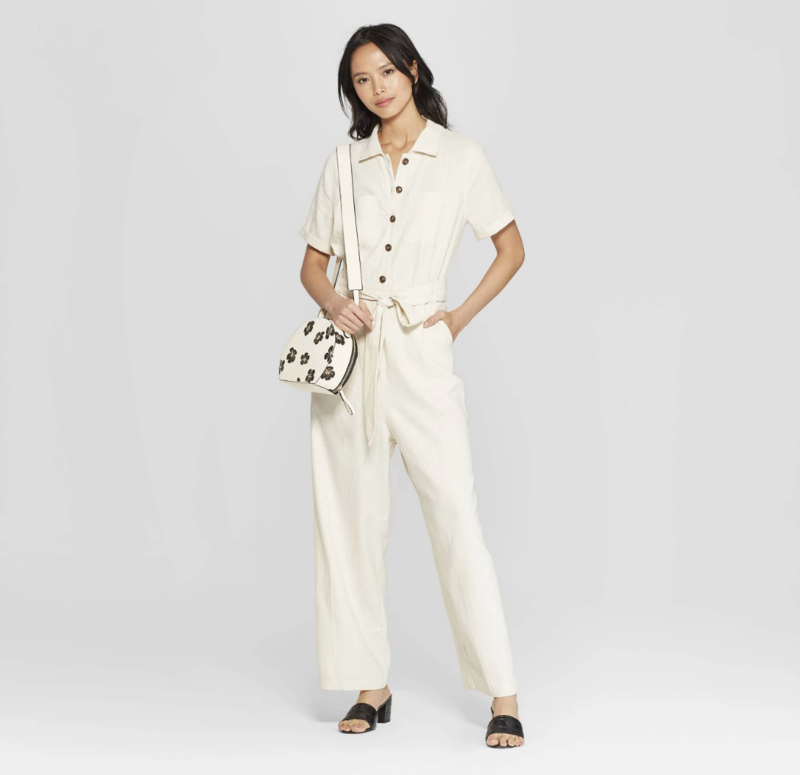 I love a luxury splurge or investment piece here and there, but when it comes to trends, the only financially sustainable way to be able to keep wearing the latest ones seems to be by sticking predominately to affordable versions. Thankfully, when it comes to the topic of today’s post, that is very possible. 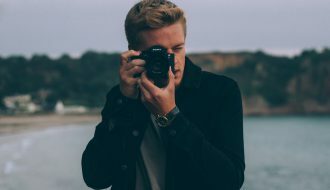 By now, you should know that utility everything is on the up and up for spring and summer 2019, and this past fashion month’s street style only solidified the trend’s place. Specifically, aside from the utility-inspired belt bags, which were everywhere, there was another iteration that clearly stole the show. 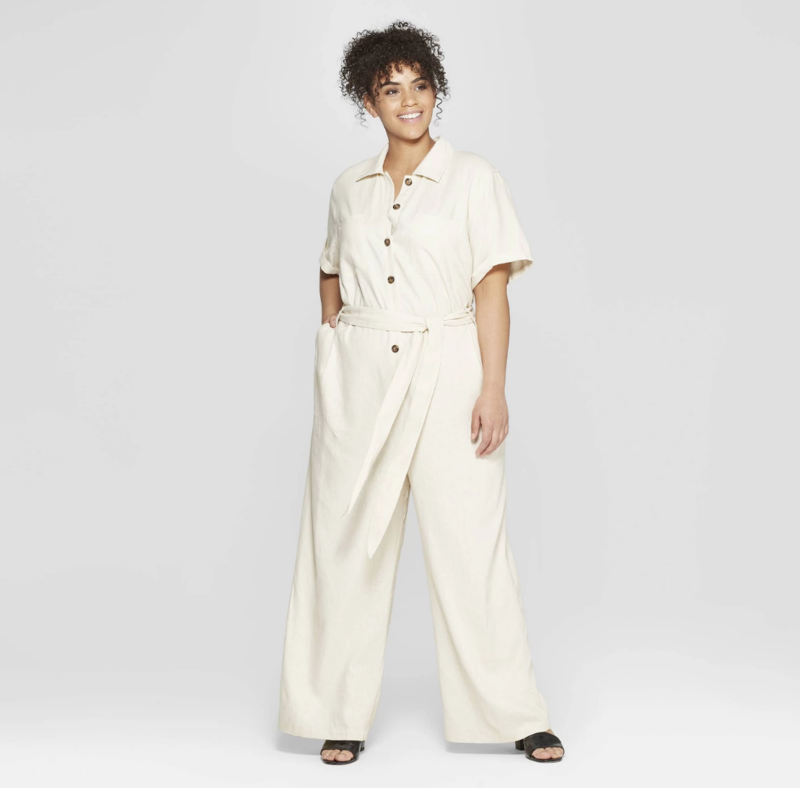 Utility-inspired jumpsuits were spotted on more style-setters than we could count, and it just so happens that we have our very own version in this season’s Who What Wear collection for Target. Coming in at less than $50, the short-sleeve, belted piece is perfect for styling with layers during this transitional weather period and continuing to wear on its own through spring and into summer. Whether you opt for ankle boots or pumps, simple accessories or statement-making ones, it’s just one of those items you can’t style wrong. Just keep scrolling to see for yourself, and then, of course, shop the jumpsuit. Tonal dressing will never go out of style. I love the idea of layering a turtleneck underneath while the weather is still transitioning. You can never go wrong with classic accessories such as a black belt and pumps. Another outfit that’s making me want to bust out my pumps. A pop of leopard print is always a good idea. Love her belt bag? Conveniently, you can shop similar ones here. Proof that you can layer this piece to your heart’s content. 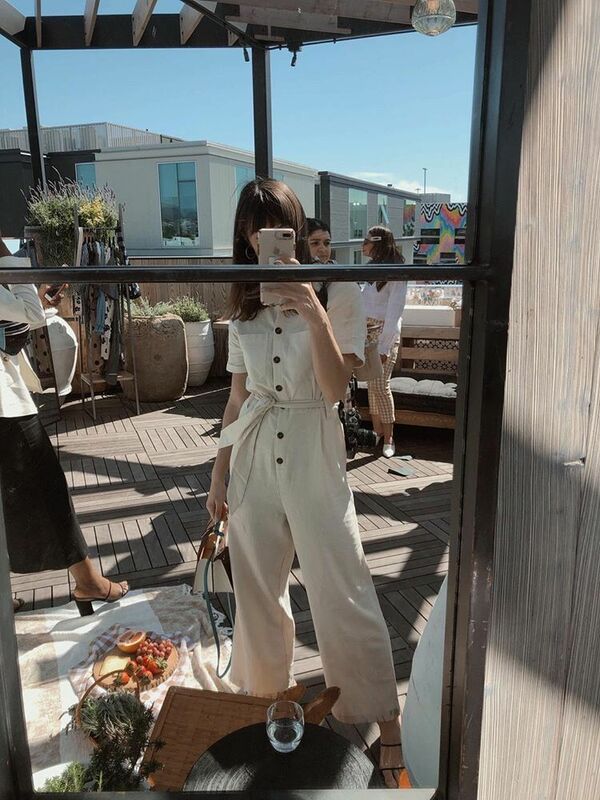 Skip the tailoring and simply pair your jumpsuit with platforms. Monochrome styling is definitely trending right now. If you invested in a timeless camel coat, this is the perfect outfit to pair it with. White seems to be the footwear color of choice for several of these style setters, and I’m into it. Don’t you love a statement piece that also pairs well with statement accessories? Another classic approach to styling that just works. Up next? The flattering shoes everyone will wear this spring.